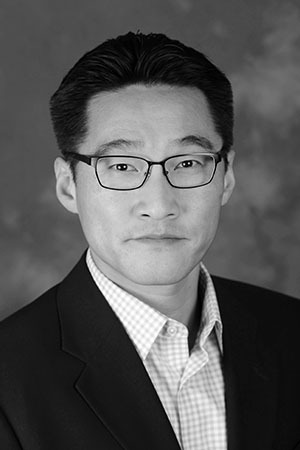 Brian Min studies the political economy of development with an emphasis on distributive politics, public goods provision, and energy politics. His book, Power and the Vote: Elections and Electricity in the Developing World, has recently been published by Cambridge University Press. The book shows how the provision of seemingly universal public goods is intricately shaped by electoral priorities. It introduces new methods using high-resolution satellite imagery to study the distribution of electricity across and within the developing world. His earlier research on ethnic politics and conflict introduced a major new dataset (with Lars-Erik Cederman and Andreas Wimmer) on Ethnic Power Relations (EPR) in all countries of the world since 1946. He is the recipient of the 2011 Gabriel Almond Award from the American Political Science Association for best dissertation in comparative politics. His research has been funded by the World Bank, International Growth Centre, and the National Science Foundation. He has conducted fieldwork in India, Senegal, Mali, Vietnam, and the Canadian Arctic. 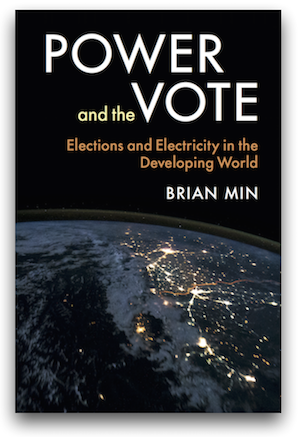 Power and the Vote: Elections and Electricity in the Developing World. New York: Cambridge University Press. 2015. Herbert Kitschelt, Camb. Rev. Intl. Aff. 2016. Toke Aidt, Journal of Politics. 2016. “Election Cycles and Electricity Provision: Evidence from a Quasi-experiment with Indian Special Elections” (with Thushyanthan Baskaran and Yogesh Uppal). Journal of Public Economics. 126:64–73. 2015. Related columns: Ideas for India, Mint. “Tracking Electrification in Vietnam Using Nighttime Lights” (with Kwawu Mensan Gaba). “Electoral Cycles in Electricity Losses in India” (with Miriam Golden). News coverage: Economic Times, Hindustan Times, India Today, Mint, DNA - Daily News and Analysis, Firstpost, Outlook, Financial Express, Business Standard. “Detection of Rural Electrification in Africa using DMSP-OLS Night Lights Imagery” (with Kwawu Mensan Gaba, Ousmane Fall Sarr, Alassane Agalassou). International Journal of Remote Sensing 34(22):8118–8141. 2013. “Distributive Politics Around the World” (with Miriam Golden). Annual Review of Political Science 16:73–99. 2013. “Why Do Ethnic Groups Rebel? New Data and Analysis” (with Lars-Erik Cederman and Andreas Wimmer). “Ethnic Politics and Armed Conflict: A Configurational Analysis” (with Andreas Wimmer and Lars-Erik Cederman). American Sociological Review 74(2):316–337. 2009. Online appendix with coding rules for the Ethnic Power Relations (EPR) dataset and additional tables. “Baghdad Nights: Evaluating the US Military Surge Using Night Light Signatures” (with John Agnew, Thomas W. Gillespie, and Jorge Gonzalez). Environment and Planning A 40(10): 2285–2295. 2008. Press reactions: Reuters, New Scientist, Xinhua (China), and blogs at the New York Times - Freakonomics, Los Angeles Times, USA Today, The Atlantic, Foreign Policy, ADN (Spain). “From Empire to Nation-State: Explaining War in the Modern World, 1816–2001.” (with Andreas Wimmer). American Sociological Review 71(6):867–897. 2006. Winner, 2007 Best Paper Award, Political Sociology Section, American Sociological Association. Winner, 2007 Best Paper Award, Comparative Historical Sociology Section, American Sociological Association.